Tucked away in the historic Mackenzie country, Opawa Homestead offers you the chance to be by yourself or have events packaged to your every need — accommodation, catering and special activities like skiing, golf, horse riding, fishing or sight-seeing. Bad weather is no problem for outdoor weddings, as there is the alternative venue of a built-in chapel complete with confessionals, [Opawa is said to be the cradle of Mackenzie Country Catholicism, with Opawa pioneer settlers, the Sheaths, guiding the local priest around his parishioners]. The Opawa Homestead, built in 1862 from kauri, rimu and other New Zealand native timbers, was once a the centre of a vast 13,354 ha (33,000 acres) station, and is now the oldest remaining farmhouse of its type in the Mackenzie country. 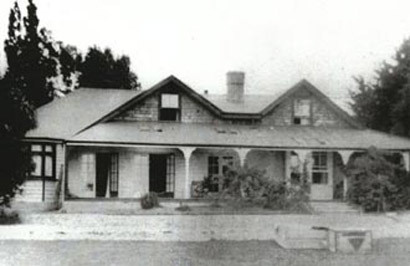 The Homestead property originally comprised Runs 223 and 318 and was purchased in 1856 from the Government of the day. It was sold in 1862 and again in 1870, when the Rutherford family purchased it. Rutherford was known for both his extreme generosity and for the emus he kept in front of the property. The Rutherford family retained the property until 1924, at which time the property was sold and extensively altered. Opawa changed hands several times since then, before passing to its present owner, Julie Hadfield. The garden was laid out by Alfred Buxton, perhaps the most significant landscape gardener in New Zealand in the first half of the twentieth century. Buxton laid out many of the finest gardens, both public and private, in Canterbury and other parts of the South Island. During his career Buxton was to acquire three principal nurseries, the second, Opawa Nursery, in partnership with a Christchurch businessman. 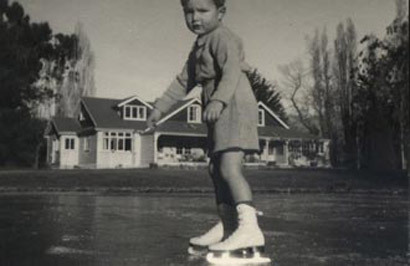 In another first, Opawa Homestead is the home of ice hockey in New Zealand and local farm workers played the initial game here in 1937 for the Erewhon Cup. 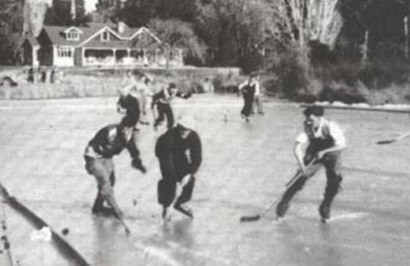 This, on a rink constructed with the aid of draught horses and still remaining as a pond in front of the house.